Here is your chance to get a peek into KITT's schematics. 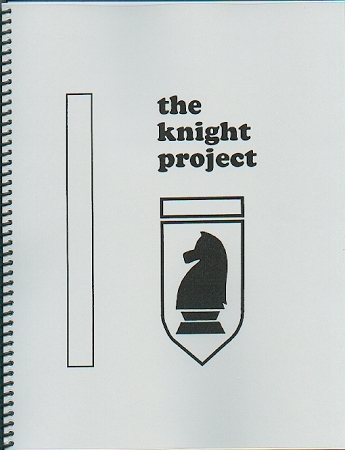 This manual was originally published in the early 90's from one of the first suppliers of KITT and KARR replicas. From the Electronics Engineer who helped hundreds of Knight Rider fans to turn their conversion project dream into reality. Despite having been originally published over 20 years ago, the information contained in the manual is still highly valuable today and constitute the basis for current production offered at Jupiter Electronics. Each circuit is described in details, including operation theory with emphasis on the practical side, helping you in the best and easiest way to achieve a rewarding project - from getting the parts to final installation. Covers the electronics only, not the plastic or fiberglass components fabrication. Printed circuit board patterns are reproduced in the manual. Minimum knowledge of electronics is required to assemble the boards. A useful reference if you already own a replica. Unused copy, directly from the author. Please review the description carefully before buying. Does not cover the redesigned electronics featured on www.jupitere.com . Knight Rider is also known as K2000, El Auto Fantastico, Supercar or Knightrider in some countries.